The IMF's chief, who had a key role in the events of spring 2010 as France's Finance Minister, admitted that "in hindsight it would have been nicer" had a resturcturing of Greek debt happened before it was actually carried out in March 2012 but: "it would have been a possible major, major exposure for the whole of the eurozone." Of course, Lagarde wasn't telling us anything we didn't know, or at least anything the IMF hadn't already shared with anyone willing to listen. Only a month had passed since the three-year anniversary of Greece signing its first memorandum of understanding with the troika in May 2010, when the IMF made a major contribution towards removing the pretence and nonsense involved in the debate about the Greek case thanks to its publication of the ex-post evaluation of Greece’s 2010 Stand-By Agreement. In the document published on the 5th of June after its contents were leaked by the Wall Street Journal's Matina Stevis, the IMF openly admits that Greece’s bailout had two key characteristics. Primarily, it was a holding operation so a firewall could be built to prevent any spillovers to other vulnerable peripheral eurozone countries, which would have major implications for core eurozone countries’ banking systems. Secondly, it was designed on the basis that there was a politically constrained “financial envelope” and the program simply had to be designed around it and made to work. These assertions have never been denied by eurozone officials and politicians. The whole process was reverse engineered based on how much money eurozone partners were willing to make available rather than how much financing was required to get Greece out of its debt hole within a timeframe that would not allow severe damage to the economy. The evolution over time of the eurozone’s response to the Greek crisis is characteristic to what the IMF outlines in its report. What seems to be an inconsistency in the eurozone decision-making process simply reflects tactics being adjusted as the firewall and others measures were put in place, leading to Greece gradually being ring-fenced. Talk of debt restructuring in the spring of 2010 seemed a red herring but it suddenly became part of the eurozone's official crisis management toolkit in Deauville in October 2010 but not part of a solution for Greece until July 2011. The first plan for a PSI consisting of a 20% haircut in present value terms was soon abandoned and the second PSI was agreed in the end of October 2011 when the eurozone took actually a leading role in securing. 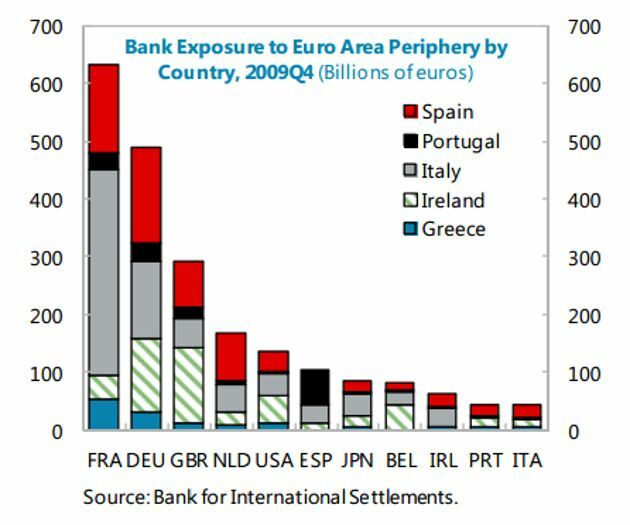 Between May 2010 and October 2011 banks in core eurozone member states sharply reduced their exposure to Greece either via maturities through the program’s financing or the ECB, which was buying Greek debt via the SMP. 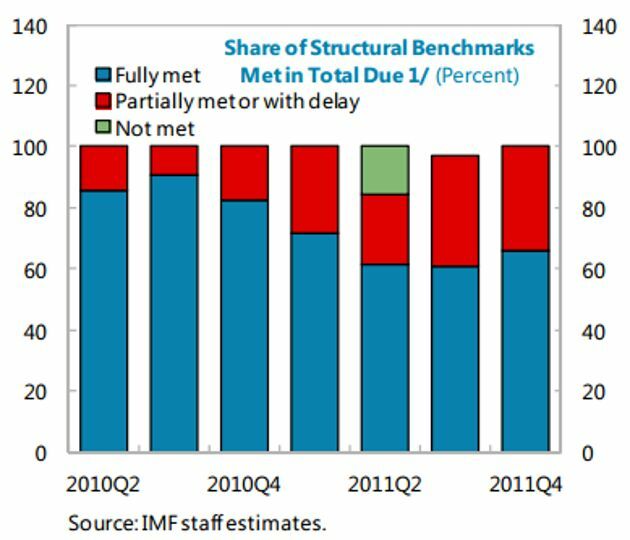 In the meantime, the IMF admits that from early 2011 it was evident that the program and debt trajectory were veering off track. This is in contrast to the often cited criticism that Greece’s program failed because of poor implementation. As much as it is true that Greek politicians and vested interests resisted structural reforms, the first couple of reviews the IMF actually praised in the commitment of the then Papandreou government that fully met over 90% of the program’s conditionality and benchmarks. In spite of the fact that from the very early stages all stakeholders were aware that the program was facing serious headwinds not because of implementation but flaws in the initial design – including the non-concessionary interest rates of the eurozone’s loans – the fiscal targets were not adjusted before the fifth review, at the end of 2011. This was simply because it would require additional financing that no one in the eurozone was willing to put up. In the meantime, the program’s other key objective of limiting contagion was performing exactly as planned and Greece was being corralled. Meanwhile, this eurozone tactic pushed Greece further into the fiscal purgatory, like a mad dog chasing its tail to achieve unattainable fiscal targets, repeatedly introducing austerity measures that were fanning social tensions and ultimately a severe political crisis. 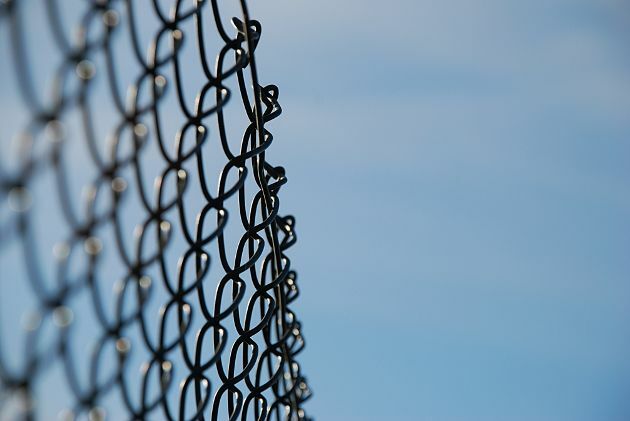 Paradoxically, political instability is often referred to as one of the program’s failures although it is evident that it was self-inflicted and largely accepted as long as the ring-fencing progressed as planned. The eurozone finds itself locked in the same pretence as it did at the start of the crisis, attempting to dodge the obvious question about Greece’s debt, which was never addressed and still lingers in the air three years on. The IMF’s evaluation of Greece’s first program is a fair and honest assessment. It explicitly states that had an early debt restructuring been pursued the program would have been given a real chance of success and the story of last three years would have been different for Greece and its people. "For the euro zone as a whole, there might be limited gain in bailing in creditors who subsequently might themselves have to be bailed out." Simply put, addressing the debt problem decisively from the start would only relieve Greece from the debt burden and immediately would transfer the problem domestically to the banking systems at the heart of the eurozone, France and Germany in particular, which were heavily exposed and increasingly fragile as a result of the 2008 financial crisis. Instead of ending up loading up their books with additional debt for potential bank bailouts, the preferred path was to saddle Greece with debt to pay off these banks in full. Had the crisis not been contained and reached countries like Spain and Italy, we could have been looking at full blown banking crises, risk of bank failures and - in the absence back then of even any hint of banking union or resolution mechanism – rising levels of public debt to rescue banks in the core of the eurozone. 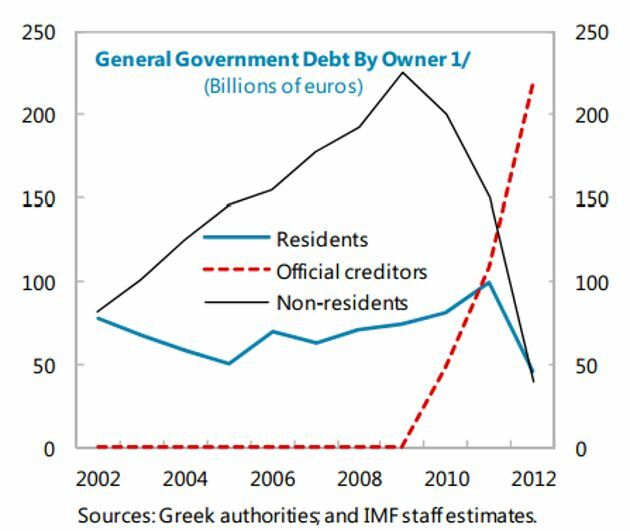 In effect, as the IMF describes in various places in its evaluation document, Greece’s program was a quasi-bailout of core eurozone banks with the burden unequally shared as Greece’s debt levels further mounted while core eurozone countries’ net public debt remained unaffected. Considering the costs of the alternative, the 80 billion euros of bilateral loans that the eurozone committed in the initial 110 billion programme was actually an attempt to deal with the immediate problem on the cheap. It may be that from the broader eurozone perspective the time bought has served the single currency well, allowing all the necessary mechanisms – most notably the OMT of the ECB – to be put in place to avert a relapse of the crisis. But it is now time to deal with Greece’s debt decisively. In a repeat of the spring of 2010, any discussion of debt relief was anathema prior to Sunday’s German elections and has been vaguely linked to Greece achieving a primary surplus this year, an argument that in itself makes a mockery of Greece’s tremendous fiscal efforts. A nation that was let down by its political class through decades of mismanagement, cronyism and political clientelism on the back of state finances, experienced a fiscal derailment in the spring of 2010 and has suffered through repeated spending cuts and tax measures. The impact on the Greek society of the eurozone’s crisis strategy is well documented. The devastating macroeconomic figures have been widely reported and need not be repeated here. Having paid a disproportionately heavy price for wider eurozone stability, Greece is now in a position to tell the eurozone that this year it will run structurally (taking into consideration the effects of economic contraction) a primary surplus (the balance before interest payments) of 2 percent of GDP, as the troika has estimated. Even in nominal terms it might even achieve or fall just short of a primary surplus from a primary deficit that reached a staggering 24 billion euros or 10 percent of GDP just four years ago. Every single troika member, international organization or crisis commentator is in agreement that this is an unprecedented fiscal adjustment in terms of size and the time within which it was achieved. The moment of reckoning is here. The Greek state is now in a position to operate without the need of deficit financing and no more money will be asked from the eurozone to keep it running. The privately held debt is just a fraction of total debt, with favourable servicing terms and phased repayments that do not start before 2032. The eurozone has to contend with just over 35 billion euros of Greek bonds held by the ECB and National Central banks across the eurozone, 53 billion of bilateral loans from the first program, roughly 131 billion loans so far from the EFSF - 48 billion of which went towards the Greek bank recapitalization as a result of the PSI and the deterioration of the macroeconomic environment – and 29 billion to date from the IMF, which is scheduled to start receiving repayments from the third quarter of this year. Given how effectively the wider crisis strategy has worked so far in averting a full blown eurozone crisis, surely it is not that complicated but only a matter of will to address the issue of Greek debt. The initial argument of the moral hazard involved in agreeing to debt relief will just not suffice anymore. Greece is a country that is witnessing the cancer of fascism rise from its economic and social ruins, as last week's murder of anti-fascist rapper Pavlos Fyssas underlined. Moral hazard has become a morally unacceptable argument. The Greek government has an obligation this time to actively negotiate and pursue a viable solution for the ongoing debt problem, which will allow the country to put behind it the darkness of the past few years. Negotiations over the next few months will not be just about targets, numbers and benchmarks but about preserving the last vestiges of a disintegrating democracy. It is a chance to start building a more hopeful future. On my previous post the last sentence finishes: "with the right sort of political support." BUT: The conclusion is not compelling. Nobody will honor the Greek sufferings because everybody first looks for his own pocket. That was also the case when the Greek government cheated in order to become member of the Euro zone. Greece paid a very high price for that unfortunate decision to abandon it's own currency. "Moral hazard" as an argument for inaction over Greek debt does not fly: As you explained, Greece WAS an exceptional case of harsh treatment for a grater cause, it cannot set an "bad" example or present "moral hazard".